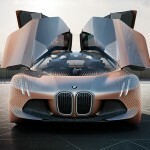 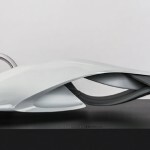 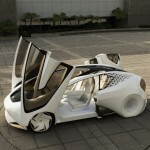 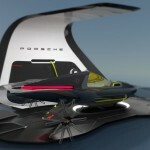 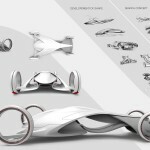 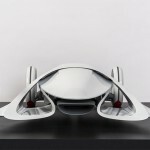 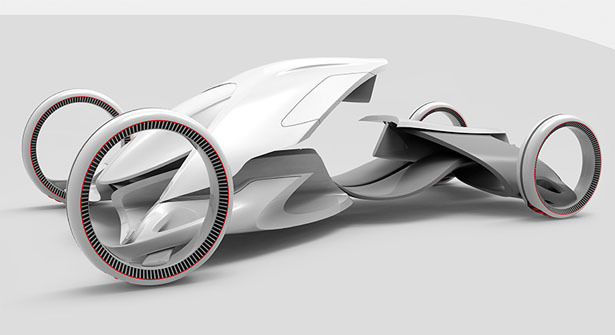 Synesthesia is an advanced concept sports car, envisioned for the year 2030. 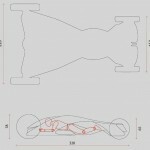 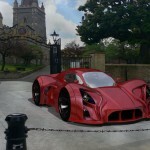 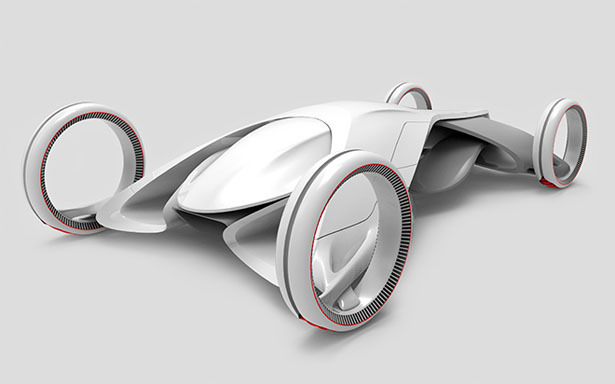 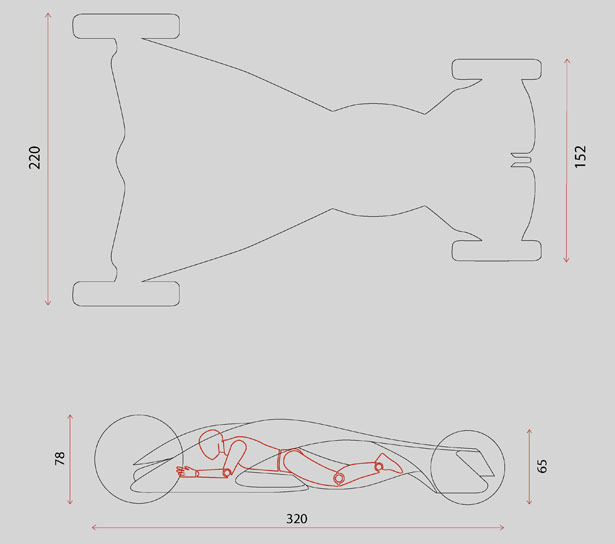 This sports car would be driven on closed circuits, allowing the user to experience the full potential of the vehicle in a safe environment. 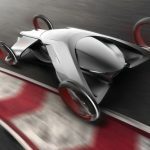 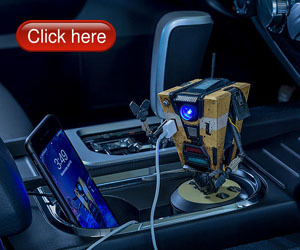 This project targets automotive enthusiasts who want to experience an innovative, unconventional kind of driving pleasure which is not seen on cars today. 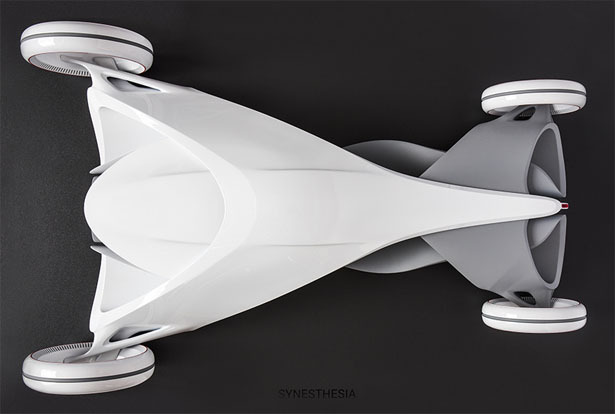 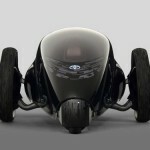 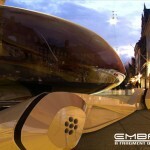 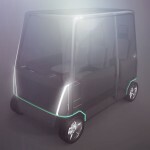 Synesthesia features a sleek, aerodynamic profile with the user positioned in the middle of the vehicle. 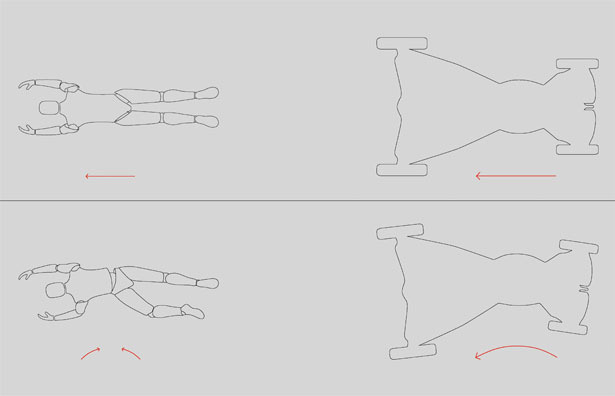 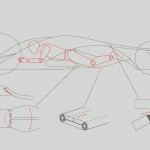 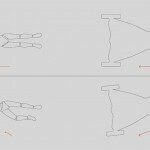 Driver controls the vehicle through their body movements (similar to Segway). 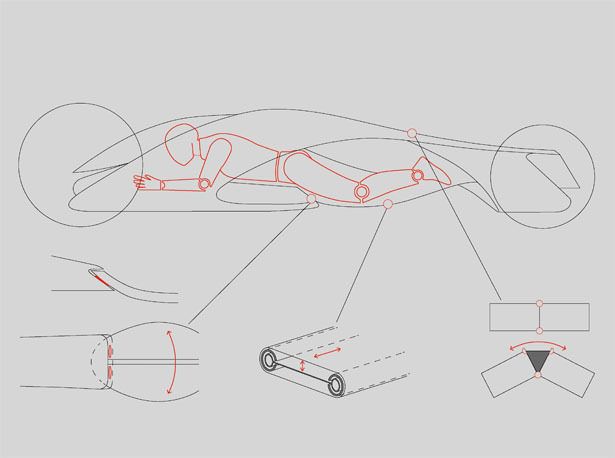 The open, fluid shape of the framework exposes the driver to the outside environment, stimulating the user and exerting adrenaline by feeling every movement made by this car. 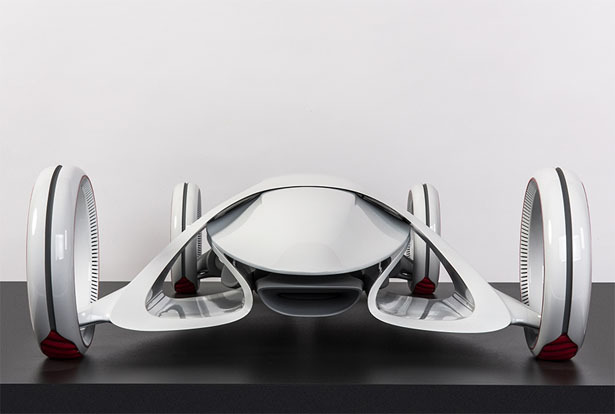 With the certainty of autonomous vehicles dominating the roads in the future, this concept will maintain and reaffirm the historic, traditional communication between the car and driver for future generations to experience. 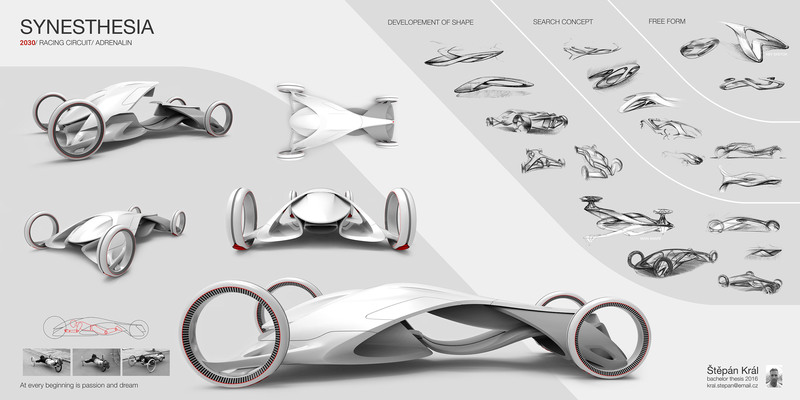 Tuvie has received “Synesthesia Concept Car” project from our ‘Submit A Design‘ feature, where we welcome our readers to submit their design/concept for publication. 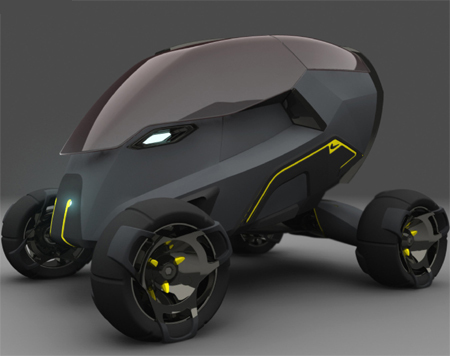 Tagged as car design for 2030, future car design, future sports car design, futuristic personal sportscar, futuristic segway like car.